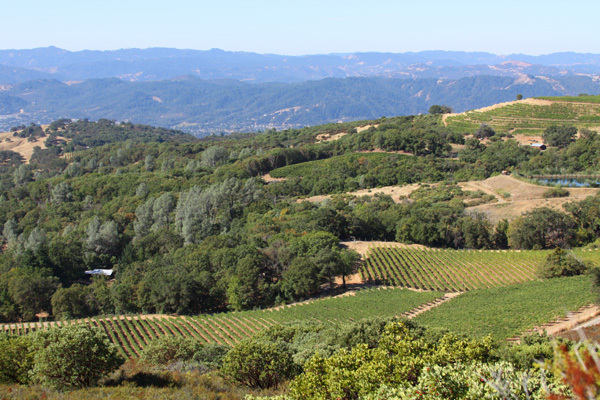 Silverwood Ranch: Sustainable Farming in the Pine Mountain - Cloverdale Peak AVA. Silverwood Ranch owners Jackie and Barry Hoffner are committed to sustainable practices, including participation in the Fish Friendly Farming Environmental Certification Program, which is run by the California Land Stewardship Institute, a non-profit organization located in Napa County, California. Fish Friendly Farming¨ is a certification program for agricultural properties that are managed to restore fish and wildlife habitat and improve water quality. 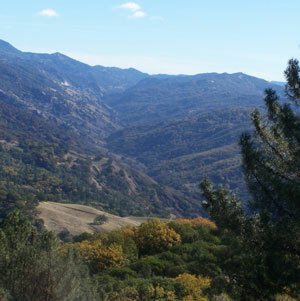 Certification assures the consumer that the wines and farm products they purchase are produced by protecting and restoring the environment and by sustaining the beauty and natural habitats of California. 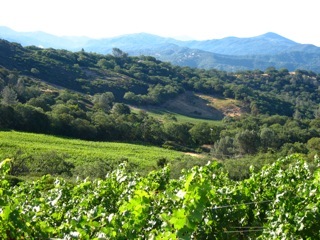 AT SILVERWOOD RANCH it is important to us to grow quality premium wine-grapes and be good stewards of our land. We work hard to ensure that these two goals are mutually aligned. During the growing season, we employ a no-till policy to minimize the ground disturbance and cover crop in the off-season. Soil and nutrient management are done through leaf and petiole analysis with the appropriate mix of fertilizer, to replenish the soil, done through drip irrigation. 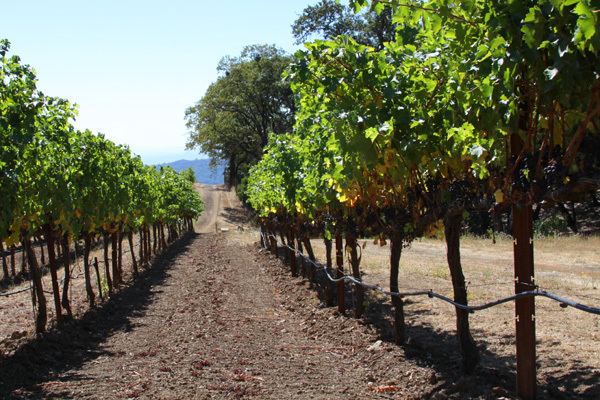 For pest management,we frequently check the vineyard blocks for mildew and pests, while minimizing the use of chemicals if intervention is needed. After the grapes are harvested, we spend a good amount of time winterizing the vineyard allowing water to drain in natural channels, keeping soil runoff to an absolute minimum. Finally, while we do deer-fence our vineyards, much of our 1200 acres are unfenced, allowing a large wildlife corridor through our property. From a viticulture perspective, our aim is promote vine balance allowing each vine to produce the optimum amount of fruit with a well-balanced canopy. We do this through cane-pruning and defining irrigations blocks according to changes in soil profile. 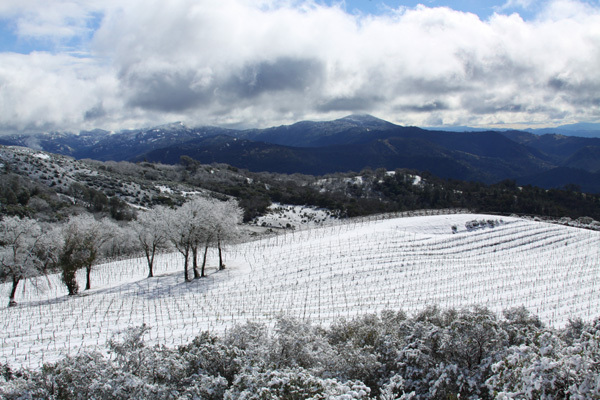 We prune late to ensure that budding occurs after the very cold weather we can have up on our mountain in early spring. We focus our hedging and leafing program, a few times during the growing season, to allow the optimum fruit exposure. Given our hillside location and changing soil profiles, it is important to monitor our canopy microclimate. In terms of irrigation, we fine tune the amount of water needed by our blocks through the weekly use of the pressure bomb. Finally, we drop green fruit and thin short shoots late in the season to ensure that the burst of vigor in the remaining vines, from this activity, occurs well after veraison has finished, focusing the additional energy on the fruit instead of the canopy.